Whether it is an anniversary ring, an engagement ring, or a right-hand ring, women love beautiful rings. Rings are also perfect because they can be passed down for generation to generation. If you are looking for the perfect gift for a loved one, you should look into gemstone rings. Gemstone rings are perfect because they come in a wide variety of different colors. You can pick out something that is her favorite color, or even pick out her birthstone. Once you decide on what color you would like, you need to select a cut. There are several different cuts you can choose from, including round, princess, baguette, or even pear shaped. You will also need to select a setting. The setting can be classic, modern, or something entirely different. You can choose to have multiple gemstones placed in your gemstone rings. For example, you can choose a ruby set with diamonds, or a pearl set with sapphires. Any combination will work. You can also choose from silver, yellow gold, white gold, or even rose gold. This allows you to pick something that is original and unique. 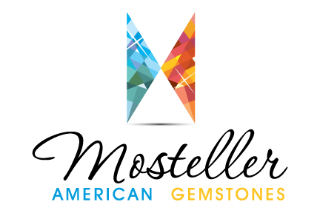 If you are looking for the perfect gemstone rings, contact us at Mosteller American Gemstones. We can help you with the process every step of the way so that you can find beautiful gemstone rings that are exactly what you had in mind.